are you kidding? yeah that's fine can I take it with me on a plane? solution #1 combine the magnetic contact with a motion sensor? solution #2 turn off the magnetic contact with strong westerly winds? 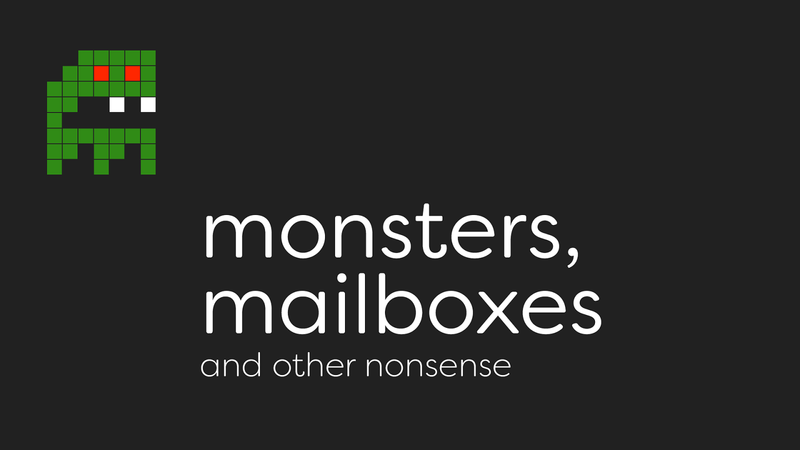 View Monsters, mailboxes and other nonsense on Notist. The Internet of Things can become quite boring pretty fast. Turning on the lights in your apartment with an app is a nice novelty, but it isn’t really very creative. And as developers we like to tinker and look under the hood, but manufacturers like their walled gardens. This talk is about combining sensors, switches and displays with different technologies to solve problems that don’t really exist and more importantly just to have fun with IoT and make geeky stuff. This talk contains monsters, and lots of them.